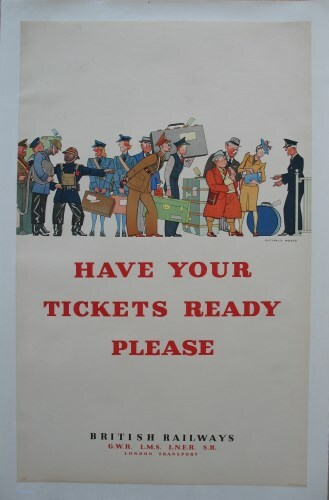 Lot 36 D/R Poster 1942 Big-4 issued "Have Your Tickets Ready Please", by Reginald Mayes. A wartime poster from the Big-4 and London Transport combined under the name "British Railways", to encourage efficiency when travelling. Excellent condition, professionally backed on linen.